I was lucky enough to spend the last three weeks on an artist residency with the wonderful people at Arts, Letters and Numbers, deep in the forests of upstate New York. Some very talented minds and hands are making magic up there in the old Mill, the conversations with whom and vast sunlit spaces of which inspired a new experimental painting project based on my Disappearing Islands research, entitled Aqua Fluxus. 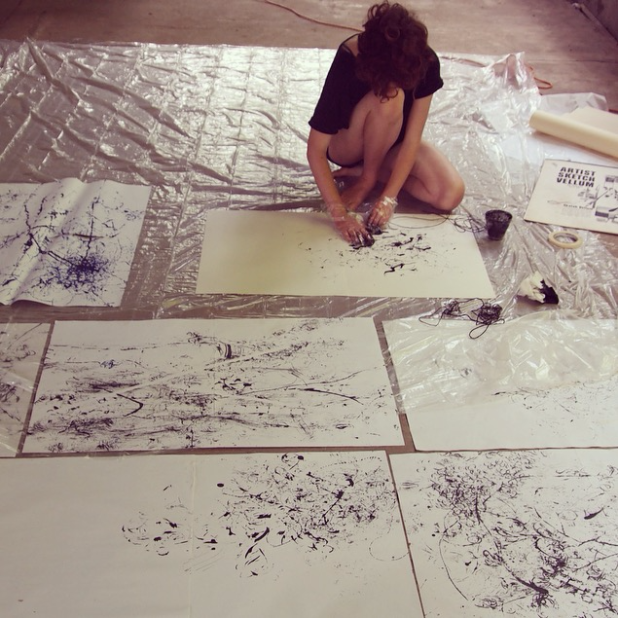 The project develops a cartography of turbulance, chaos and fluidity through the act of drawing. The drawings map a series of natural disasters that led to the upheaval of specific remote communities I have been studying over the last three years. Focussing on islands that are continuously reshaped by the interplay of extreme force and fluidity - of event, encounter and adaptation to the unpredictable, the works explore time and tumult as the creators of new physical geographies. 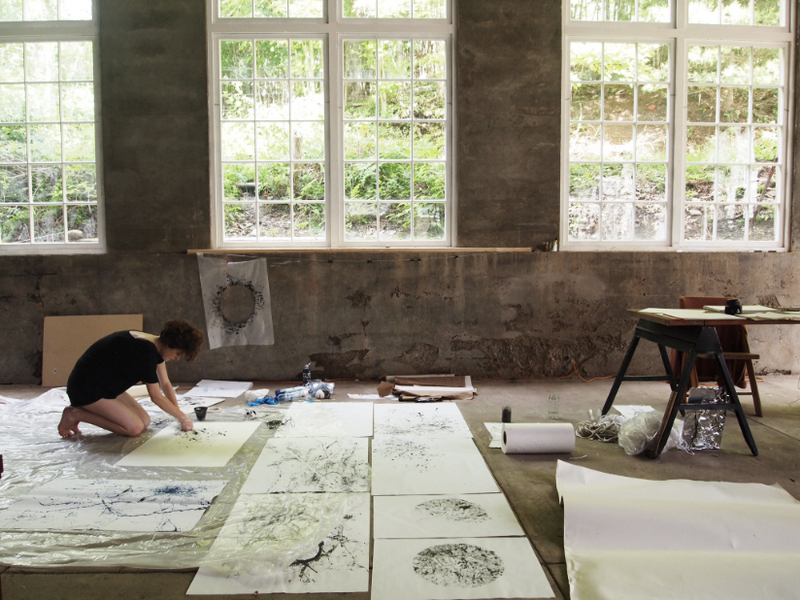 The works were exhibited at The Arts, Letters and Numbers Barn, Averill Park NY together with installations by James Rogers, Emily Fitzell and Yingting Cui. It was a wonderful (if not a little chilly) night so thank you to all who came, and to this summer’s ALN team - permanent and transitory. Particularly big high-fives to those whose words fed the project, including David Gersten, Hannah Smith, Pablo Martinez, Daehyun Kim, Jen Bracy and the cheeky little forest chipmunks who stole my snacks.